Sorry we had not updated the blog for a while, but the end of 2016 and the beginning of this 2017 has being full of diverse affairs, personally and professionally, that has kept us on the go. However, it has been enough to charge batteries from last season and we are truly excited to be back! We have many projects going on that we cannot wait to share with you but before that, we did not want to start the year without a throwback post about the “Top 5 venues” we have had been working in during this past 2016. We already mentioned how challenging can be to choose the right venue for your wedding. There are many premises that need to be followed and covered, as location, capacity, availability, facilities,… Nonetheless, we are not going to go through that today. Today’s post is just a collection of some of the venues we have worked in and that we find them in a way worth of mention for its singular location, exceptional views, unique set ups or just for their oddness. Just keep on mind that this list is not following an order of preference or inclination. We like all of them and we would recommend them all again! Even we have already mentioned this venue before, we believe that this location cannot be missed in this throwback post. St Michael’s Cave is located in Gibraltar. It has being one of the main attractions of the city since the days of the Romans and for sure will left none of your guests indifferent. 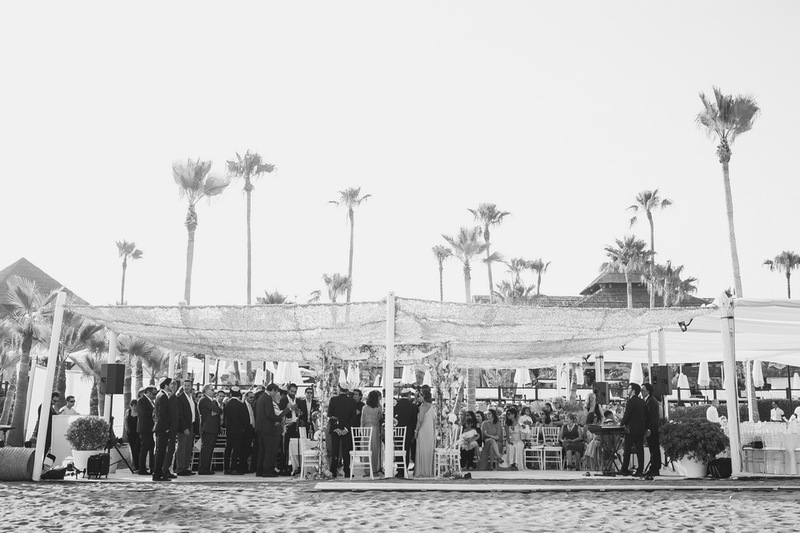 If looking for an only one of its kind venues, this might be the one to mentioned. Even it might sound extravagant to held a celebration in the inner part from a cave, the history that its walls reveals and being surrounded of pure nature by itself cannot blend in a perfect scenario to held any occasion and that is the reason why is included in our “Top 5 venues”. Molino del Duque is one of the most unique Villas in Costa del Sol not just for its one-off setting, also as it can be considered one of the villas with a larger history in the area. This villa date backs to the Roman’s times , when the village of Manilva was well-known for its sweet muscatel grapes and the sulphurous waters from the Roman Baths. The prevailing mill was built in the early 18th century and fully functioning till the 1960’s. Molino del Duque counts with many different areas where your event can be held. From a large 3-acre garden which gives the villa an unique sense of peace and serenity, to the traditional Andalucian Patios, wide terraces beautified with traditional furniture from the area that will add your event a distinctive touch! 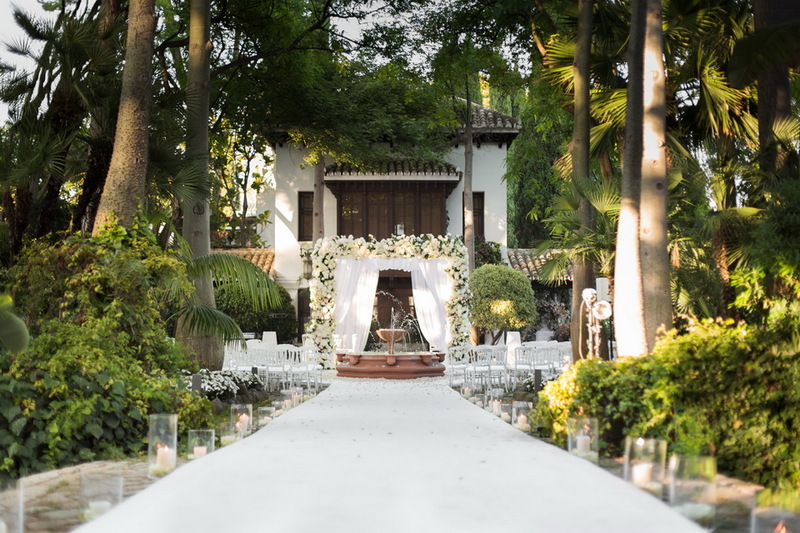 Villa Padierna also has an important room in our list, not sure if it is because is one of the most romantic venues you can find in Marbella or is just because of the magic and the charm that comes off it! Surrounded by fountains and vegetation, the outdoors terraces from Villa Padierna are just matchless. With many different spaces to hold every part of your event and the splendidness of the Roman amphitheatre that will bowed over all your guests. We mentioned many different scenarios already for your events, from weddings to friend reunions. However, none of them but this one will give you the opportunity to enjoy the beauty of the Mediterranean Sea just five to six steps away from the shore. Purobeach has one of the most unique settings, surrounded by the sea with spectacular views of the Gibraltar rock and the Moroccan Atlas mountains. Can be consider as one of the most versatile places to enjoy this unique lifestyle concept which offers an ethnic design always together with a wide variety of deep/lounge music. 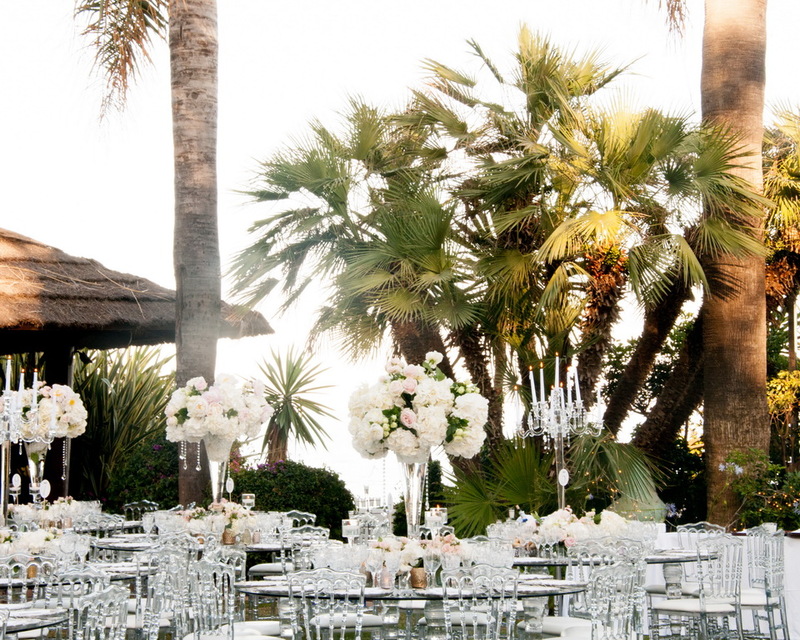 This venue is again, other of the locations we have already mentioned, but again needs to be included in our “Top 5 Venues” not just for its uniqueness and splendour, also as it belongs to the Marbella Club Hotel, beyond compare symbol of the Costa del Sol, which is ensures excellent service and quality standards. Villa del Mar is one of the most luxurious and high standard villas you might find in Spain. Bounded by the Mediterranean Sea and few minutes away from the heart of Marbella old town, this villa is the perfect scenario to leave your guests speechless. Being one of the most lavish villas is what makes it one of its kind. If during last season off white, white, and creamy colours where the main characters in all the events held in this villa, just wait for 2017 to come. Many different emphasis will be brought together and we can ensure that it will be worth it to wait.